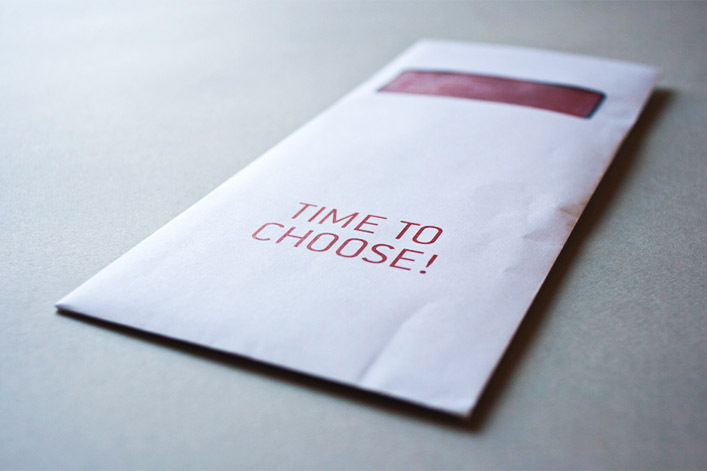 ‘Take your pick’ – Integrated Marketing Campaign. 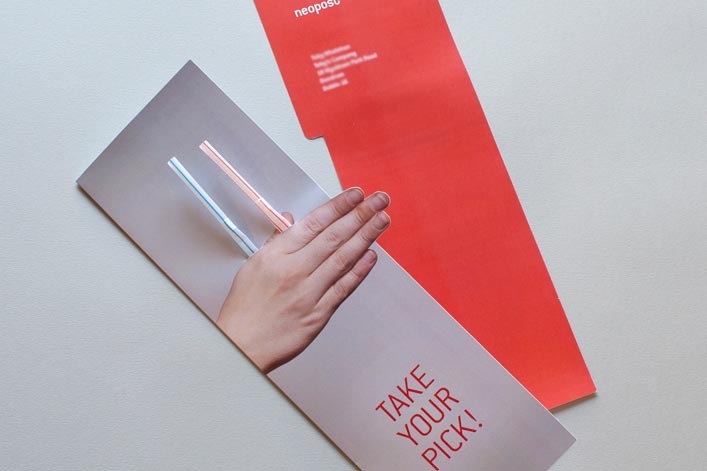 This concept challenged recipients to ‘take your pick’ using the analogy of ‘drawing the short straw’ to show why going with Neopost’s main competitor is the equivalent of drawing the short straw. 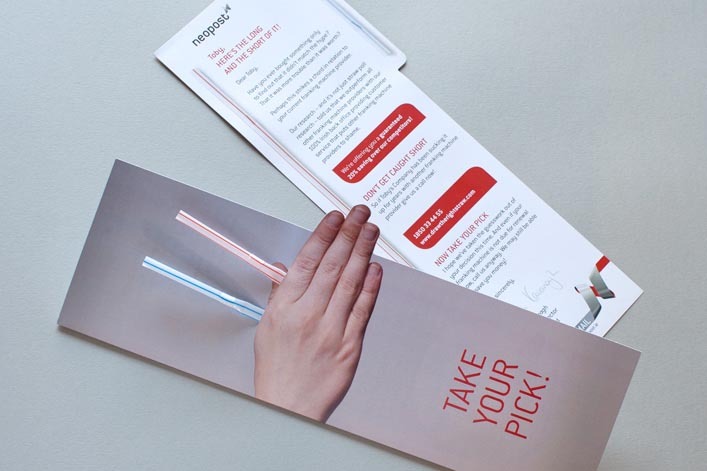 The brochure had a clever and engaging slant to it with two small die cut holes on the front cover in to which two straws were inserted – a long and a short one. 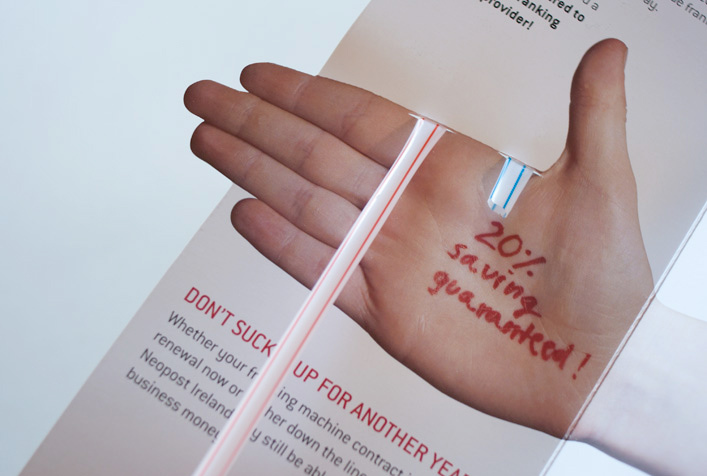 But as the straws went through the holes it wasn’t possible to see which was the long one and which was the short one. 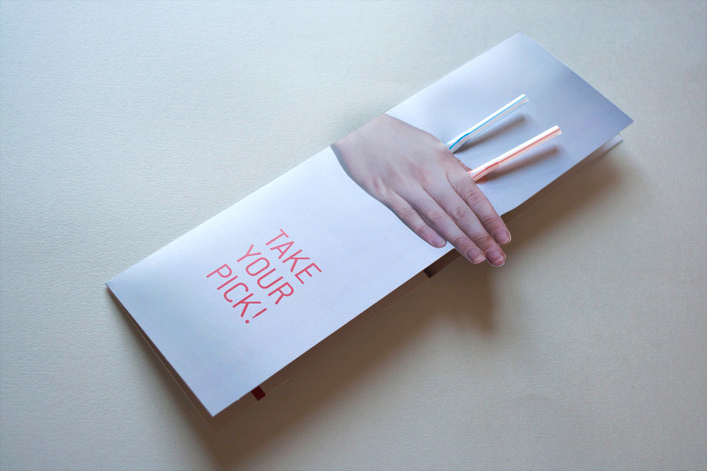 The front cover challenged recipients to ‘Take your pick’ between the two straws. 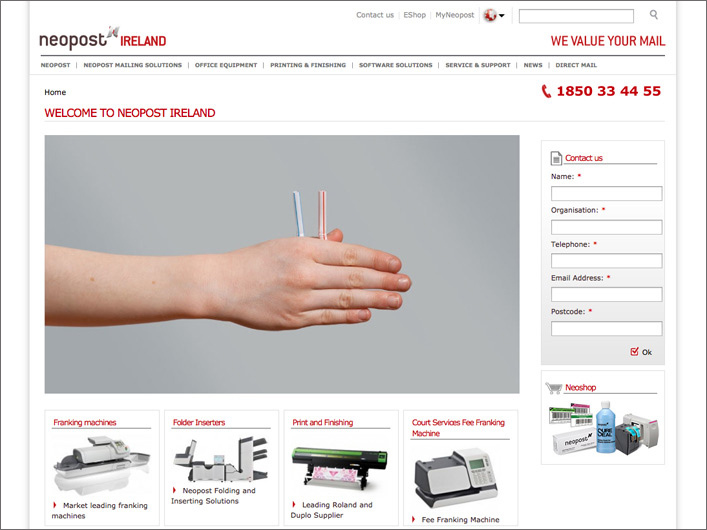 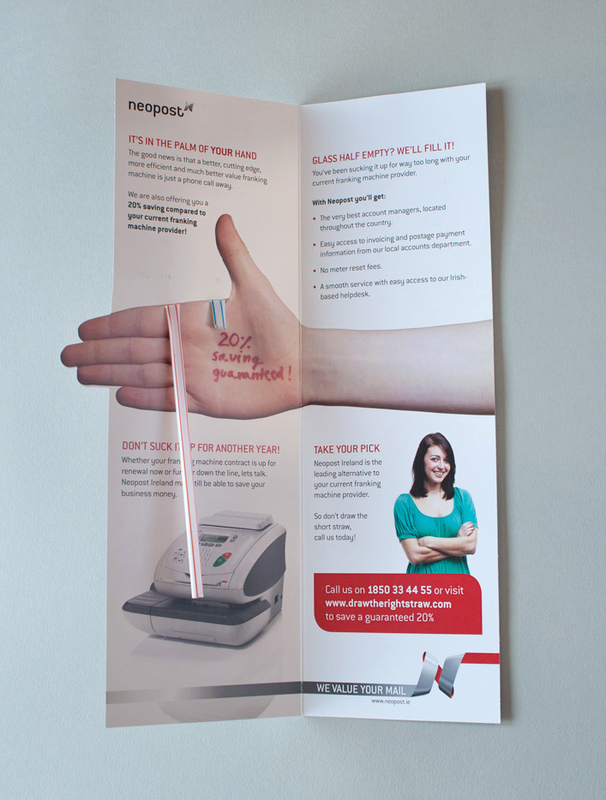 The long one to represented Neopost and all the benefits Neopost offered over the competition. 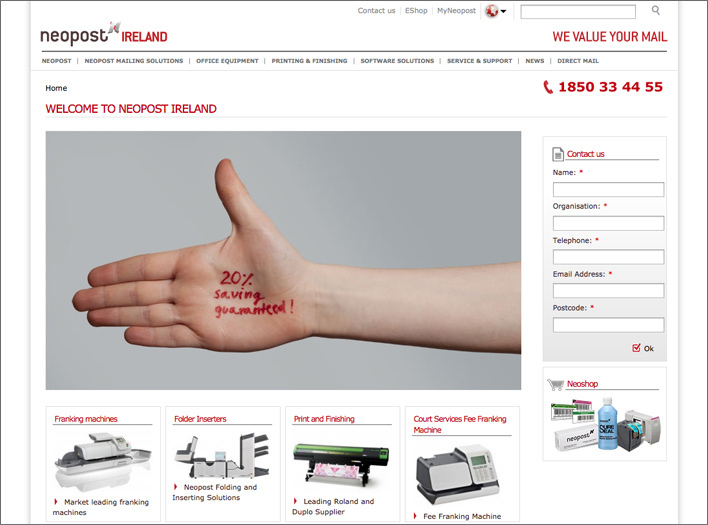 The short one to represented Neopost’s main competitor and all the shortcomings associated with.